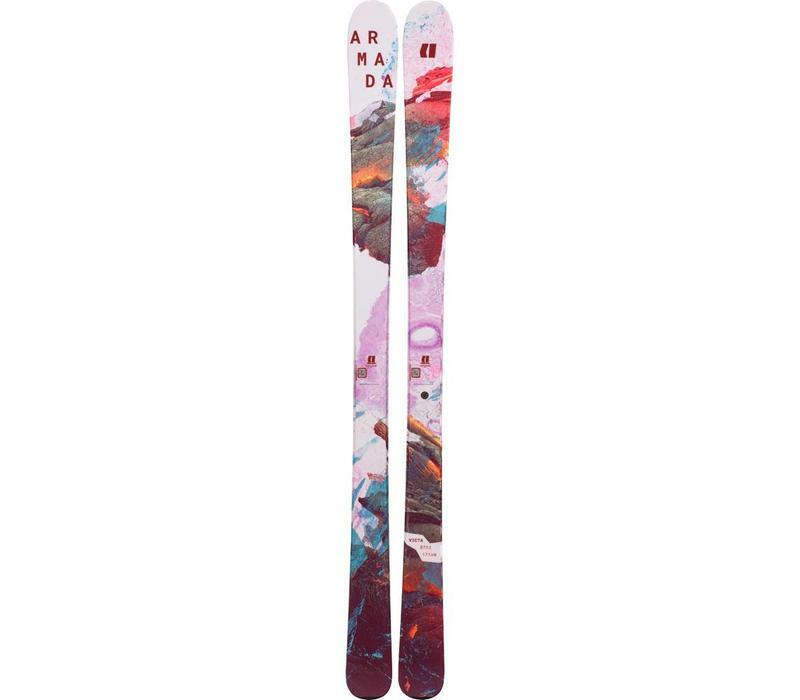 The Armada Victa 87 Ti is a beautifully balanced ladies all Mountain Ski with striking graphics and superb performance both on and off piste. 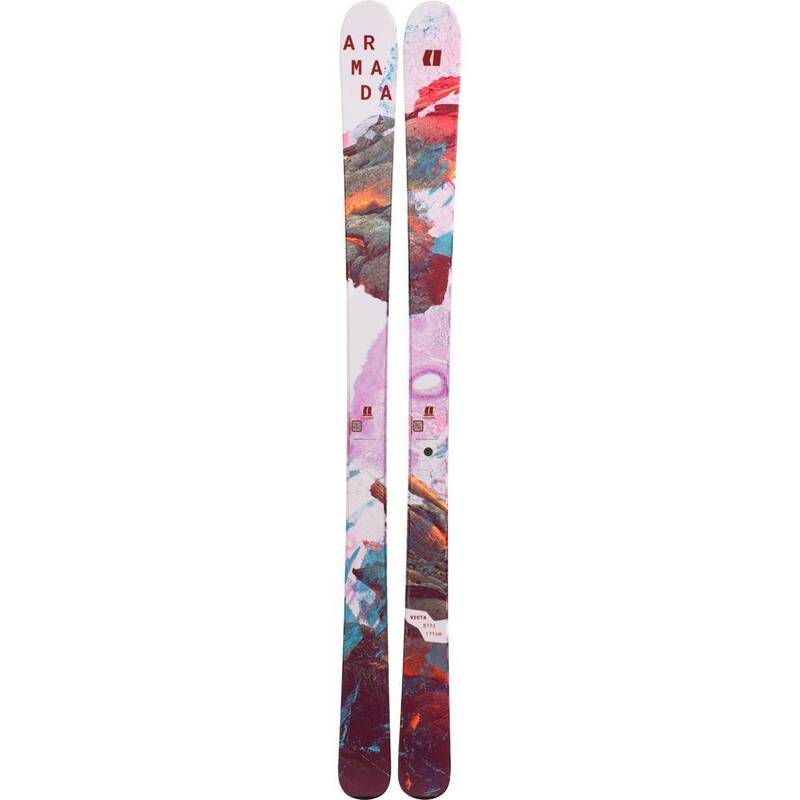 The Victa is establishing itself as a very creditable range of ladies All Mountain skis and the 87 Ti has real punch and versatility. These are, both smooth and edgy and with the exception of the deepest, fluffiest powder will handle any snow conditions superbly well. In spite of the Titanal Plate these are not an unduly demanding ski to ski so are manageable by energetic intermediates upwards, retaining the interest and performance of even strong, expert, skiers. Power and finesse is the name of the game for the Armada Victa 87ti, the slimmer half of the metal integrated Victa Ti duo. AT 87mm under-foot, the Victa finds its float, but feels right at home on the hardpack, utilizing its Ti laminate plate to keep the chatter down and the speed up in just about any condition.